Indian cricket team skipper Virat Kohli might be conferred with Bharat Ratna soon as the recommendation by the All India Gaming Federation (AIGF). Virat Kohli has a massive following in the nation and his popularity has been in the world with exceptional batting technique and his outstanding achievements on the cricket pitch. 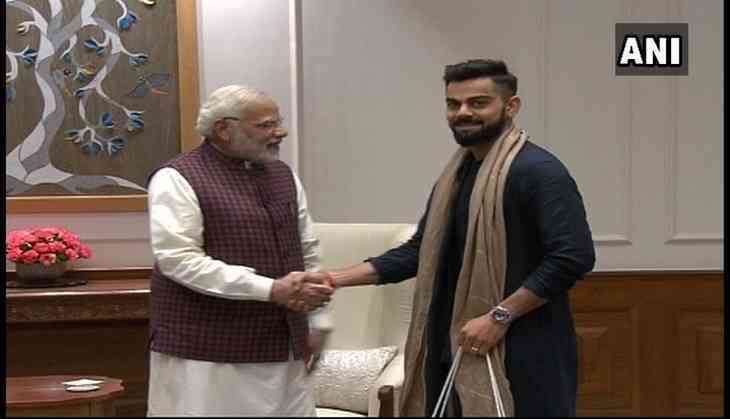 Virat Kohli celebrated his 30th birthday on November 5 and thereafter, All India Gaming Federation wrote to the Prime Minister Narendra Modi requesting a Bharat Ratna for the skipper, which is the country’s highest civilian honour. Kohli has been performing exceptionally well in the cricketing world, even maintaining his No.1 rank in the ICC rankings. He has played 73 tests and 216 One Day International for India and had scored 10232 runs in Tests and 6331 runs in ODI’s. He has amassed 38 centuries in ODI and 24 in Tests and he is the fastest cricketer to reach 60 international centuries. Former cricketer Sachin Tendulkar has been the only sports and cricket player to receive Bharat Ratna as of now.